Items purchased online are immediately sent to fulfillment for shipment. We ship with UPS. Standard Ground normally takes 5-7 business days (allow for 2 business days warehouse processing). Second day air, allow 1 business day warehouse processing. Overnight shipping, orders placed before 3 p.m. PST ship the same day. We are dedicated to customer satisfaction. We offer a no nonsense, 90 day replacement warranty on all items sold. Battery Specialists of Alaska is committed to keeping your information confidential. Your personal information is only used for order fulfillment and will not be shared with others. 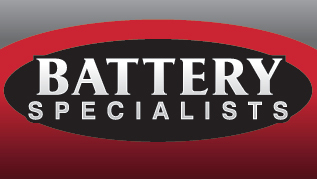 Battery Specialists of Alaska sells only the highest quality products and we work tirelessly to ensure that you are satisfied with all your purchases. Please follow the instructions below so that your returns are handled in the most timely and efficient manner possible. All of our Automotive OEM™ re-manufactured products are warranted for a period of 2 years. All of our Marine and Industrial OEM™ remanufactured products are warranted for a period of 1 year. Our 100% new and generic re-manufactured products are warranted for a period of 1 year. Our warranty extends to the proper application under normal use and does not cover rust, deliberate abuse, overload, submersion in water, broken drive gears, or housings, or any other damage not attributed directly to the item. Improper installation, careless handling, tampering or dismantling of the product makes this warranty null and void. This warranty is given expressly in lieu of all other obligations or liabilities and Battery Specialists of Alaska neither assumes, nor authorizes any other person or company to assume for it, any other liability in connection with the sale of its products or merchandise. Our warranty is limited to the repair or replacement of defective units only. We do not offer a cash refund on any electrical item that has been installed on vehicle or on special orders. A $25.00 testing fee and a 20% restocking fee will be applied to all returns. In the event that a refund is given, it will be for the purchase price of the product only; less testing and restocking fees. When making a warranty claim, the product must be accompanied by the original sales receipt. Warranty work can take up to 10 days. Purchaser is responsible for all shipping charges. We do not cover any labor claim. We will help you process your claim should a problem arise. Our 37 year reputation is built on customer satisfaction. Thank you from the team at Battery Specialists of Alaska! Battery Specialists of Alaska © 2017. All Rights Reserved.